Being able to express your thoughts and feelings are made easy when you have a sketchbook on hand at all times. Although common with professional artists, the best sketchbooks are not tools purely limited to that profession; you will be surprised how handy they are for writers too! Regardless of your profession, there’s no reason why you can’t express your thoughts in words or drawings. Even some of the world’s best paintings were nothing more than mere scribbles before they turned into masterpieces. Whether you’re an artist seeking a top quality sketchbook to impress, or if you are simply looking for the perfect present for yourself or a loved one to keep tabs on your feelings, with so many kinds on the market, it is essential that you find the perfect art sketchbook for all your creative needs. The various options below can help you accurately weigh each book side by side regarding the material, design and even the size of your desired sketchbook. With 110 sheets of blank, white, acid-free paper, the Pentalic Sketch Book is a stylish book manufactured purposefully for your imagination to fill. It is a perfectly bound quality book with a sturdy, elegant cover, and it features a unique, leatherette texture that many users love. It provides you with a firm drawing surface and still keeps all your artwork and writings intact. For minimized smearing and to prevent the pages from sliding, the Pentalic features a flush and sturdy binding designed to protect all your sketchbook drawings. The spine of this sketch drawing book has been crafted such that it lays flat when the book is in use, and yet stands upright when placed on a bookshelf. This is a sketchbook that is appropriate for classwork, writing, and drawing, and all papers used in the design and construction are sourced from certified sustainable forests. Overall, this book is an ideal Christmas gift for an artist, writer or anyone who loves to pen down their thoughts. It is so light you’ll hardly notice it in your work backpack as you go about your day. Another sketchbook made to enable you to display everything you think or feel is the Art Alternative Sketchbook. Bring your imagination to life on paper with this art sketchbook. You can display your works of art in any media you deem fit, as you’re not limited to the use of a pencil. All papers in this black sketchbook are acid-free, white and feature the perfect texture specifically designed to make drawing a pleasant experience. Imagine having 600 pages with of blank canvases all to yourself to use as and when you please. Pure bliss! The Art Alternatives sketchbook is an excellent gift for art students, artists, law students or even as a coffee table book. This book is so huge that you can look back and watch how your art or thoughts have progressed over time. If it’s bought as a family book, you can look back at many family memories and laugh, or possibly cry. Get ready to fill this oversized blank sketchbook with treasures artwork from you or your family. Strathmore is and has always been the choice for lasting works of art. This brand has created an ever-increasing market for itself among all creatives thanks to their consistent quality. Even though the appearance of their thistle symbol has transformed over the years, Strathmore Artist Papers still has little competition. This sketch pad comes in a pack of two and features all-purpose paper developed and designed to enable artists’ perfect their techniques or experiment with various media. There are 100 sheets of 60-pound paper per pad, making this a rather heavyweight sketchpad to have. As opposed to the Art Alternatives sketchbook, this book accommodates only dry media on its acid-free, micro-perforated sheets and these include charcoal, colored pencils, soft pastels, graphite pencils or sketching sticks. This is a drawing tool intended for practicing techniques, undertaking quick studies with the various dry media or classroom experimenting. Play ‘creator’ with this pro art sketchbook, by mixing and matching dry drawing media to come up with your art cocktail. 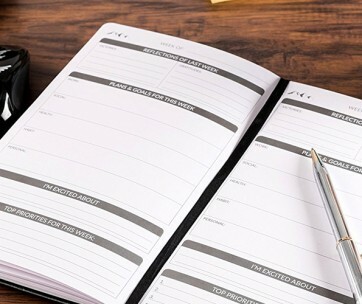 Be sure to check out our top picks of the best student planners for more great products like this. 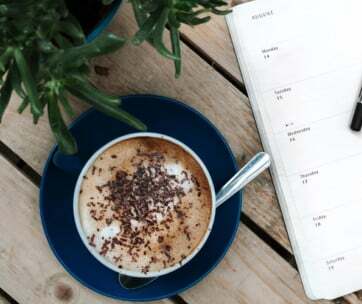 Moleskin is loved not only by artists but by other professionals such as travelers, writers, and students since they provide planners, notebooks, diary planners and other writing supplies in addition to their sketchbooks. There’s a Moleskin for everybody’s needs, from graph paper to dotted, lined to unlined. To get hooked, it’s been proven that you only need to try one of their many products. The Moleskin Art Plus Sketchbook is the perfect book for your sketches, on the go drawings and tempera colors. It comes thread bound, just as every other Moleskin product, and features rounded corners with a cardboard cover, a bookmark, acid-free paper, and an elastic closure. To welcome users into the Moleskin world, the inner pocket of this drawing sketchbook contains the history of Moleskin. These sketchbooks come with leather-like classic hard or soft Moleskin covers and thick, ivory paper pages that make writing with any media comfortable and safe. Their covers come in a variety of colors, from black, blue, red, green and brown, and they are exactly what you need to start your artistic journey with. So go all out with a Moleskin drawing book and find your unique groove! If you’ve never used Canson as an artist, the next best time to do so is now! After using your first Canson Artists Series Sketchpad, you will order it again and again because your love for it will be ever flowing! Over the years, through continuous research and redesign, Canson has developed this sketchpad such that there are now wrinkles created when you erase. It is another versatile surfaced sketchpad that accommodates several kinds of dry media, thanks to its fine texture. Generally, it is a heavyweight drawing tool that is designed with smudge-resistant qualities and micro perforation to encourage easy removal of its actual size sheets. 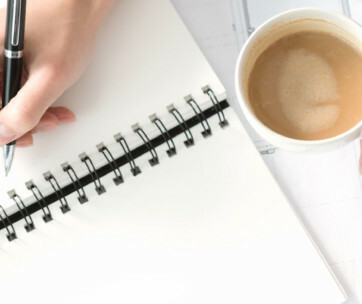 Draw or write as much as you want without getting tired, on 100 sheets worth of acid-free paper. Some users have reviewed that whereas some pencils tend to smudge on the pages of the Strathmore sketchpad, the Canson remains in top shape no matter the kind of dry drawing media used on it. You can get this sketchpad as a gift for a loved one or yourself, or probably as a family book where every member can exhibit their artistic side whenever they feel like it. They’ll fall in love with it after drawing their very first lines, and their love for you will increase too; it’s a win-win situation. Find more great products like this by checking out our guide to the best adult coloring books. Make this next sketchbook the perfect treat to give yourself or a special gift for that creative person in your life. Having the Leda Art Supply Sketchbook in your possession is one of the best ways to start gearing up to the creation of your masterpiece. This sketchbook accommodates the use of pastel, writing pen, charcoal, ink or pencil on its 160, and cream colored papers which have been designed to accentuate your colors. Unlike the other books reviewed above, this sketchbook is extremely handy and can be carried with ease anywhere you, please. The flexible nature of this book enables you to move it with confidence no matter the weather condition, as its cover has been designed to protect your content from the elements all year round. Give in to the enticing, soft and smooth design of all Leda premium art journals and enjoy dense, blank pages that won’t easily smear or rip. Bleeding is also at a minimum with this sketchbook. Added features of this sketchbook include its accordion back pocket, ideal for the storage of pencils, loose papers or photos, an elastic band for keeping pages together, its ability to lay flat when in use, and its thread bound nature that enhances its lifespan. Many artists are incredibly particular about the kind of sketchbooks they select, as most often, these books can make or unmake the quality of their art. From beginning artists to the professionals there are many kinds of books on the market, with quite a few of them being adequately likable. Trust us when we say, you will love the Global Art Materials Drawing Book. Perfectly sized for easy transportation during your daily activities, this sketchbook fits into your stylish backpack or handbag with ease. The paper is also so versatile, it works well with both wet and dry media, from acrylic paint, pens, charcoal, pencils, markers, and even watercolor. This book features 128 pages of heavyweight buff drawing paper and is available in four colors and five formats. It is designed with a durable cover with an elastic closure and a little plastic pocket where all your art samples can be stored with ease. Take this Indian made painting sketchbook on your next vacation or on your walk to your favorite coffee shop to sketch that beautiful waitress! The Strathmore Toned Tan Sketch Pad is an American manufactured drawing tool made from recycled and post-consumer fiber. It is one brand that has considered the environment in their production by ensuring that all books crafted are environmentally friendly. Find a new joy in art or journaling by using many media on the toned sketch paper of this Strathmore entity. It accommodates both light and dark media, from charcoal to markers, chalk, graphite, china markers, pens, colored pencils, and white gel pens. If you love to experiment with several media, you will love this spiral sketchbook as it helps you stretch your wings with countless pages for you to test on. All sheets produced are acid-free with warm tan and cool grey tones, and they enable you to develop stylish results for all your finished works. The wait for the perfect brown paper sketchbook is over; Strathmore is here with exactly what you need. It makes a perfect gift for graphic designers. 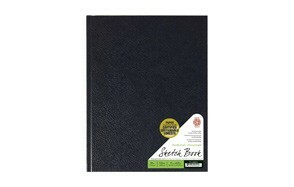 Another sketch pad produced in the USA is the Legion Stonehenge Pad. With a supple surface, this studio workhouse allows you to use this book for a myriad of creative disciplines. The initial designing of this pad was explicitly meant for printmakers, but the evolution of art and the needs of artists caused this paper to spread rapidly across all drawing techniques, especially the universe of colored pencils. A single package comes with 15 sheets that are suitable for colored pencils, charcoal, pen, pastel, ink, and graphite pencil. The fantastic paper quality is second to none, and the texture is one of the best on the market. 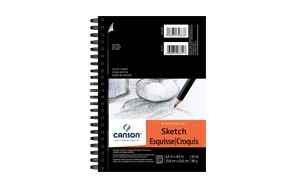 Many artists recommend this sketchbook journal to many others searching for a supple surface that accommodates all drawing techniques. The Legion Stonehenge Pad can be given as a gift to architects or any creative person in your life for Christmas, or you can get it for your daily sketches and doodles. The final sketchbook on our list and one of the most satisfying drawing tools to ever exist in the universe of art is the Crescent Creative Hardbound Sketchbook. Each book offers users 48 pages of white, acid-free, heavyweight and lignin-free paper put together with Smyth-sewn binding. All sheets are two-sided, and the use of Rendr no-show thru technology allows you to draw on both sides without any form of bleeding or tracing. One fantastic feature of this hardbound sketchbook is its ability to accommodate almost all art media, even markers. With this sketchbook, you gain value for your money as you’re able to utilize 100 percent of the book. Made in the USA, it features a soft-touch professional quality hardbound cover that gives it a beautiful exterior. All Crescent Creative Products are developed with the artists’ comfort in mind. With countless studies into manufacturing of drawing tools, they have discovered technology that helps their customers make full use of any product they purchase, making them one of the favorite names on the market. Be sure to combine it with some of the best Bolt action pens from our list. Ideal for most art media. With so many brands of sketchbooks on the market, it gets hard having to decide among all of them. Below we discuss a few factors we believe every artists or individual must consider before they make any purchase, to ensure that they get maximum benefits from their sketchbooks. 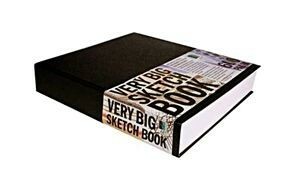 Size - The space you require per page as an artist or writer, or someone looking for something to channel their thoughts onto will determine the extent of sketchbook you purchase. It is best to pick a sketchbook that you find convenient for your intended use, even though limiting yourself to a particular size can be a terrific challenge. Weight - Another factor that must be given high relevance is the weight of your sketchbook. If you want to be carrying more, you can opt for books with more pages. If you’re in need of something handy for quick sketches, you might go in for a lightweight book, instead of overwhelming yourself with heavy-duty sketchbooks with excess pages and sheets you may not need. Binding - For a reliable and stable journal, getting a book with strong binding is vital. A strong binding ensures that all your content is tightly-knit with no risk of your pages falling out while you move around. Many books with durable binding do not fail to advertise this, so be sure to keep a lookout for terms such as "long-lasting spine" or preferably, go in for books with a leather sketchbook cover. Cover - The cover of your drawing tool will depend mainly on your preference. There are many types of covers, from leather-bound, paperback to hardcovers and they all have advantages and disadvantages. Many professionals, however, advise artists to choose sketchbooks with full grain leather covers, since they tend to last longer. Default orientation - The ability to draw in the direction you please are paramount when picking out a sketchbook thus, choose an orientation you feel most comfortable drawing or writing with. There are types of adjustment, portrait, and landscape, and these are mainly determined based on your intended use and preference. Type of paper - Cartridge toned paper, watercolor, and black paper are the main types of paper used in a sketchbook. When selecting a sketchbook, your intended use may determine the kind of paper you choose. For example, regular paper is best if you're going to be writing or journaling. There are paper types explicitly made for specific drawing techniques like painting, or the use of particular media such as pencils and pens.